Start managing your cleaning business today. Start in minutes. Many cleaners around the world in UK, US and around Europe have started using Serviceform. Serviceform has been built originally for the founders own business which was a service business. They realised they were spending a lot of time creating offers, and built a solution for that. We have after that discussed with many cleaning companies and have made our template generic for residential, corporate, professional or daily / weekly cleaning. Look at the template, clone it and create your own. 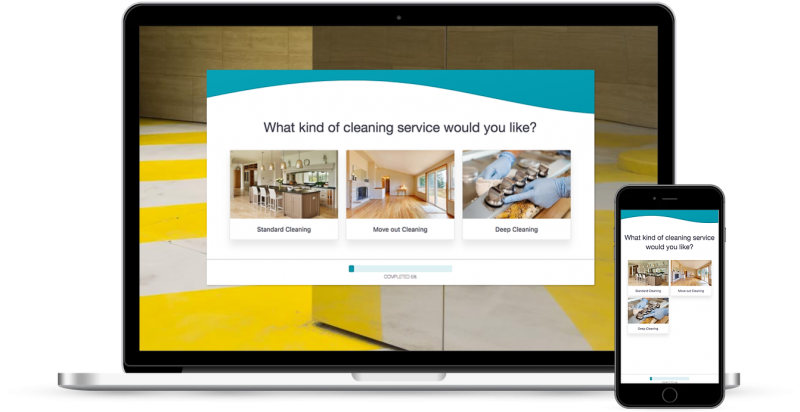 Companies around the world are using Serviceform for their cleaning companies. These are real answers from our customers. Our cleaners love that they can remind their customers, track their appointments or book their cleaners simply through one form. Our cleaning companies love that they can handle up to 100 cleaners in one solution. Cleaners can also sync to their own Google Calendars. Many cleaning companies have received 2-3x more bookings after going through Serviceform marketing optimisation for their website that is included in any plan.